Another week in Skopje. 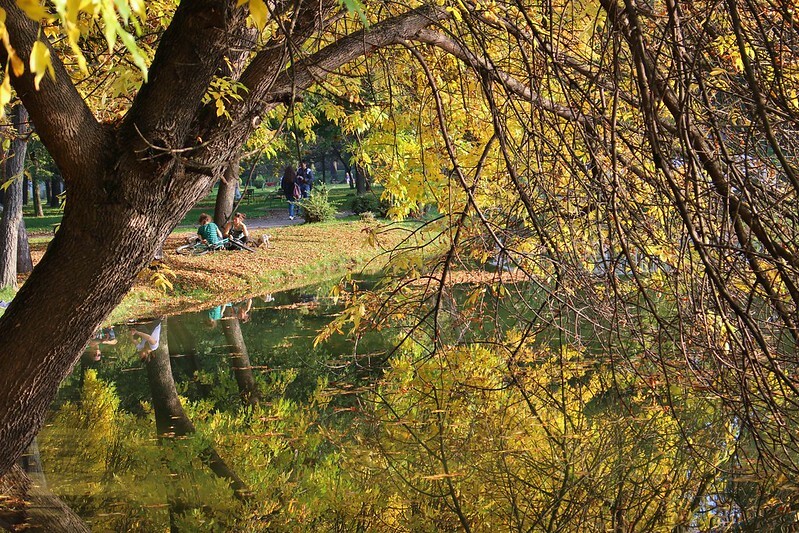 Walking in the autumn-colored park, exploring the city with a guided tour, eating out almost every day, enjoying drinks at the Old Bazaar, and a surprise meetup with a friend. Welcome to our weekly recap! This one's for October 10th - 16th, which is week 41, 2014. Memorable moment: Saturday afternoon we took a stroll along the riverside. We ended up in the City Park, which was beautifully dressed in autumn colors. We walked around the paths, crossing streams on small bridges. We joined the others on the shores of a small lake, sitting down on the grass and letting the sun warm us, and the colors charm us. 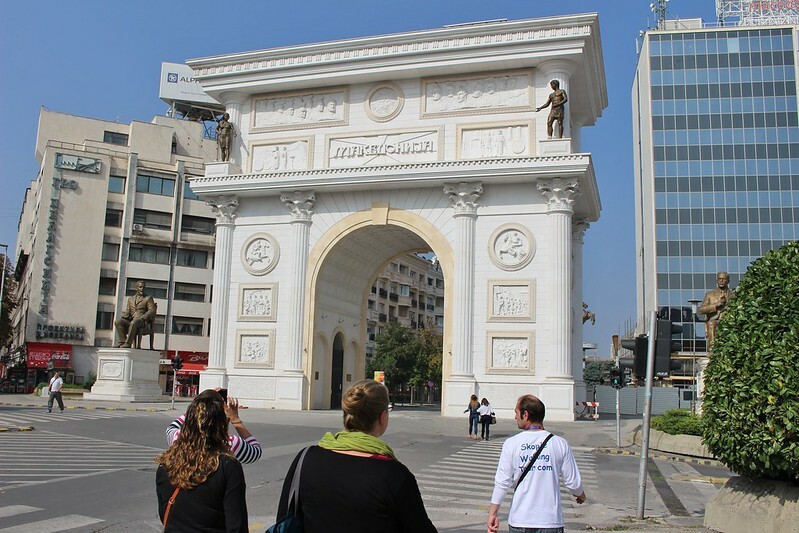 What I've learned: On Sunday, we took part in a tip-based walking tour of Skopje. Our guide was enthusiastic and talked a lot. We learnt not only about the history of the city and some quirky facts o today, but also about his own life. Very interesting tour, although I had problems remembering much after the whirlwind of information. Luckily I made some notes. About the wind-directing apartment buildings designed by a Japanese architect. About the young beautiful girls, who had a cross carved in their forehead to prevent being kidnapped into a harem. 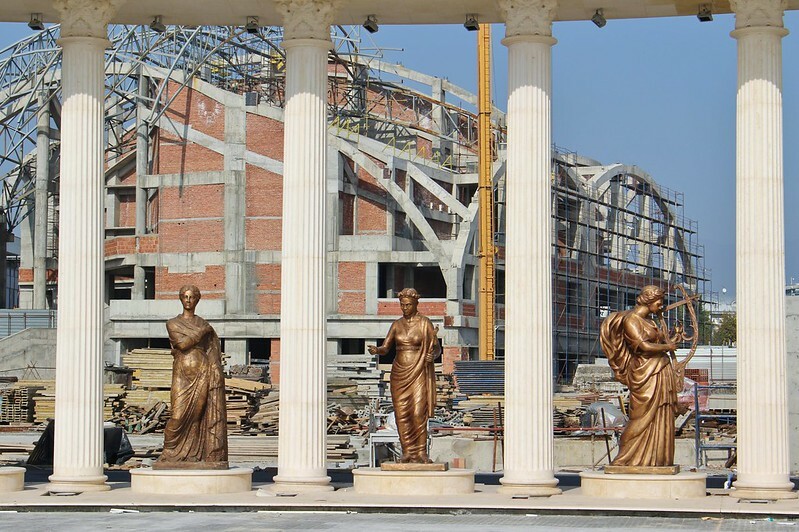 And about the Ministry of Foreign Affairs building, topped with 60 big statues of historical world leaders. Surprise of the week: On the walking tour on Sunday (while nearby the statues below) I suddenly heard someone calling my name! It was a Macedonian friend of mine, who was now living in Skopje with his family. And I had thought they were totally somewhere else. We didn't have much time to talk then, but agreed on a dinner date later on the week. And a date we had, with some good local food and exchanging stories after long time no see. 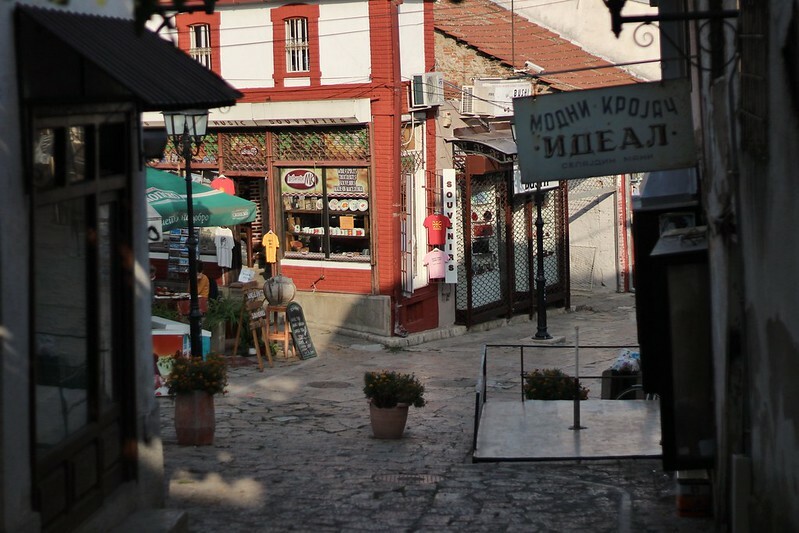 We met at the Debar Maalo neighborhood, a very inviting looking area with plenty of restaurants, about 20 mins walk from the Macedonia square. Tip of the week: The Old Bazaar is a great place for dinner and/or some drinks. There are plenty of restaurants, from street side stalls to atmospheric local eateries. Tourist grill had excellent Tavce Gravce (a bean dish), and the Pivnica An restaurant (in Kapan An) looked inviting and came recommended. For drinks, there are plenty of small bars, many specialising in something: a wine bar, a rakija bar, and so on. Although you can get the basics (coffee, beer, wine) from most of them. And, if you're looking for a late night out, many bars in this area are open an hour longer than the ones in other areas. 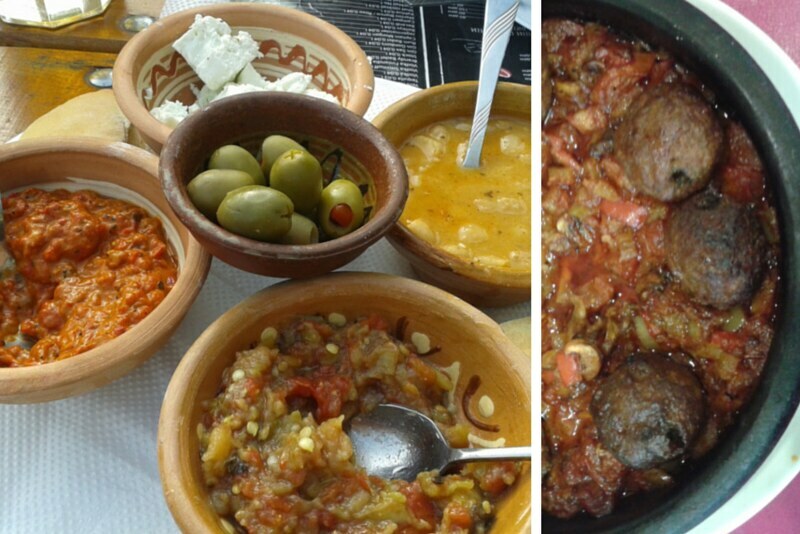 Food love: After eating lots and lots of grilled meat, this week we found some excellent oven made dishes. Turli Tava is a slow-cooked perfection of meat and vegetables and Tavce Gravce a very flavorful bean dish. And for starters, get fresh salad and some tasty vegetable spreads, like Ajvar and Pindjur. 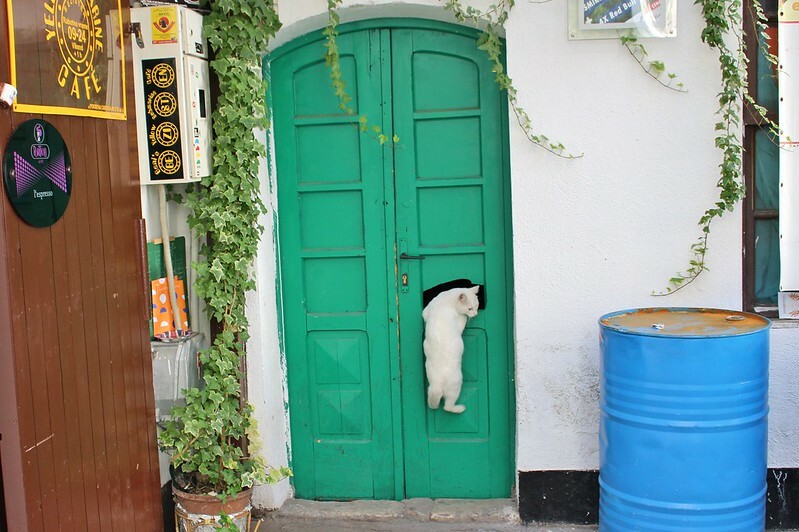 Random thought: There are cats everywhere in Skopje. Some of them, especially the young ones, can be quite cheeky. So watch out for your food! Workwise: Back in Mexico Antti started writing a book about mind mapping. Well, it isn't finished yet, and the progress hasn't been that great lately. 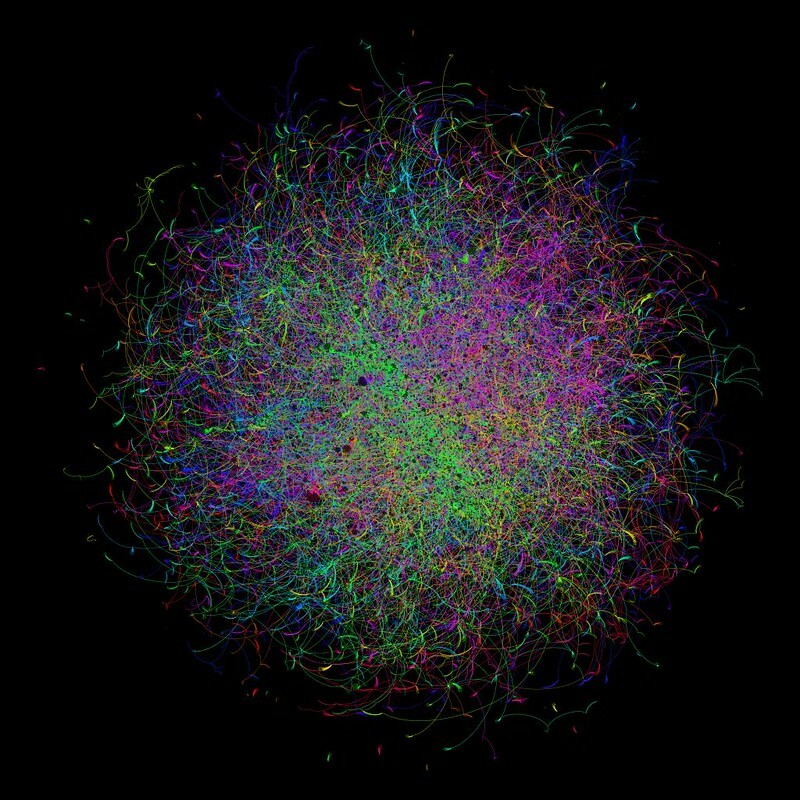 This week the project got a step forward: Antti set up a website for it at mindonmaps.com and started publishing the texts in a blog. The schedule for the book is still unclear but at least the writings won't remain stuck in the drawer anymore.